Bette Davis was born 103 years ago on April 5 in Lowell, Massachusetts. She attended drama school as a young woman and made her Broadway debut in "Broken Dishes" in 1929. She headed to Hollywood in 1930 where she was tested and signed by Universal. When her Universal contract was not renewed and she was on the verge of returning to New York and Broadway she received a call from Warner Bros. This was not exactly the beginning of a beautiful friendship, but it was the beginning of the truly legendary screen career of a groundbreaking actress. In her career of more than 100 films, Bette Davis was nominated for 11 Best Actress Academy Awards (including one write-in campaign) and won two. In her heyday, Bette received Best Actress nods five years in a row and, in 1942, was the highest paid woman in America. She won the Cannes Film Festival's 1951 Best Actress Award for All About Eve. She was the first woman to be the president of AMPAS and the the first woman honored with the American Film Institute's Lifetime Achievement Award. She was one of a group of Hollywood stars who established the Hollywood Canteen for soldiers traveling through Los Angeles during World War II. Not to be forgotten (for it speaks to Bette's status as an icon)...the #1 single of 1981 and the winner of "Song of the Year" and "Record of the Year" Grammy Awards was "Bette Davis Eyes," sung by Kim Carnes. Even after suffering breast cancer and a stroke, Bette Davis continued acting until the final year of her life. I agree with Dawn. Bette could play anything she wanted. Make sure to see The Whales of August (1987), made when she was 79 years old, with Vincent Price and Lillian Gish. Gish was 15 years older and Price was a few years younger. I hope I am going that strong! Eve, a nice tribute to my favorite screen actress of all time. Her movies weren't always the greatest but she always seemed to put everything she had into whatever role she played, and with more exceptional results than you can keep track of. Her presence alone in a movie is for me enough to make it worth watching. 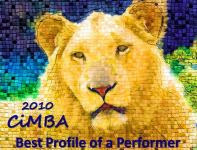 Any list of her best performances is bound to omit at least a few remarkable ones. We tend to have a particular vision of her screen personality, but she was really an actress of remarkable versatility. Only a very few of the greatest were this committed to their profession or this willing to experiment with so many different personality types. The TCM clip was a treat--unusual in that when a man does one of these segments on an actress it always seems to be someone who worked with her, not just an admirer. great post....only one modern actress can even come close to her screen "magnetismo"...MERYL STREEP...the James Woods video was interesting...is that "praise from Caesar" or "feint praise indeed"...obscurity alert!!! Eve, a lovely tribute to a screen legend! I always liked what Roger Ebert wrote about Bette: "Davis was a character, an icon with a grand style, so even her excesses are realistic." Eve, I like your post because it allows your readers to remember, or discover for the first time, the unembellished, incredible list of accomplishments of Bette Davis. We all read into it our own private feelings and memories about Bette and her work. That is a great way to remember her on her birthday. I remember my very first Bette Davis movie -- I was about 10, and it was "Now, Voyager." I really started at the top! I have never forgotten the impact this movie had on me -- watching Charlotte evolve from a depressed and overweight ugly duckling to the first time we see her on the gangplank of the ship, her hat hiding her until she lifts her face and her newfound beauty and personality are revealed. Very powerful. As you know, I always loved Errol Flynn best, but that was more like a charming, fun boyfriend at that age. However, I instinctively knew that if I married, I wanted Paul Henreid for a husband. LOL! I can't choose a favorite, but I can choose two: "Now, Voyager" and "The Letter", two completely different characters, both played perfectly by Bette. James Woods reminds me of myself -- he adores her and is moved by her, and he is not afraid to be emotional and share it with us. I loved what he said and how he said it. Thank you, Eve, for a much-deserved tribute to Bette. One of the all-time greats. One of my favorite Davis performances is in "Mr. Skeffington." What a marvel she is in that. Greatly enjoyed the James Woods tribute. Thanks for sharing that with us. When I was very young I came upon Bette Davis’s name in print for the first time but was confused. I asked my mother who “Bet” Davis was. She looked at what I was reading and explained that Bette was pronounced Betty. I soon realized she was my mother’s favorite actress. NOW, VOYAGER was my mother’s favorite of her films and I got my first glimpse of it in a scene from SUMMER OF ’42, a minor but award-winning 1971 film about the home front during World War II. 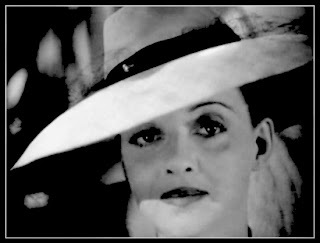 When I finally saw NOW, VOYAGER in its entirety, I felt as if I’d discovered something new and private about my mother. Onscreen, Bette Davis is outright astonishing. What guts and intelligence she had, and what range. What tenacity and longevity. Her zenith was during the 1940’s and I can only imagine how her vibrant and impassioned performances of often independent, sometimes desperate women must have fired the imaginations of young women of that era, most of whom were born just as women were allowed the right to vote. A lovely and informative post. She still fascinates! A huge talent, a great star and a unique individual. What a woman! (and she was darn cute, too). Late to the celebration once again but Happy Birthday Bette, you talented, feisty and delicate doll. This was a fantastic tribute that Bette herself would approve of Eve! Wonderful tribute. I just showed "Watch on the Rhine" to a class. She wanted Paul Lukas to have top billing, but Warners needed her name at the top to sell it. There's a speech in the film about her fear of going to bed alone that she really liked and presents with quiet power. People often forget about this movie but it's still powerful and she's terrific. Eve, nice birthday tribute to one of the greatest film actresses ever. I've seen almost every one of her films, and while she wasn't always in top flight ones, she always gave 110%. Whenever I think of her, I have 3 images pop in my mind. 1) The closing shot in Now, Voyager with Paul Henreid, where she says "Oh, Jerry, don’t let’s ask for the moon. We have the stars." 2) The opening sequence of The Letter where she's wielding that gun (she should have gotten away with it, damn you Hays Code). 3) Those hooded eyes and that red dress from Jezebel...too bad the film was in black and white. A great tribute to an amazing actress. She always amazes me. 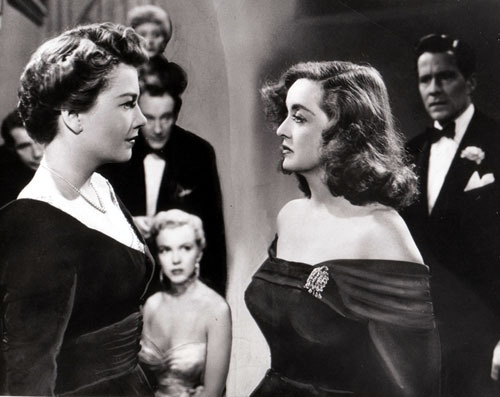 ALL ABOUT EVE and THE LETTER probably rank as my favorite performances. My favorite of Bette's films is probably THE LETTER, for her performance, yes, and also for the overall quality of the film. But, as R.D. pointed out, even in the least of her films she put everything she had into her performance.